A common mistake investors make in the stock market is selling off a winning stock too soon. But, what does too soon look like? Studies show that investors are more likely to sell a stock when it has a profit and less likely to sell a stock when they own it at a loss. Although this may seem counter-intuitive, it falls in line with studies of how investors in the stock market make decisions. It seems people are more likely to take a small, known profit rather than sell at a loss, which confirms the investor’s mistake and closes the door on a possible rebound. Good reasons exist to sell at a profit, but there’s seldom a good reason to hold on to a confirmed losing stock. Many investors have a strong, if subconscious, fear of turning a paper loss into a real loss. So when is a good time to sell a winning stock? Some would counsel to never sell winning stocks, while others caution that selling should be a deliberate process just like buying. Say you have a stock that had a good run and now you wonder whether you should take your profits or wait for a sign that the stock is about to reverse direction. Several typical warning signs can tip you off to changes that could mean the price has started to head south. 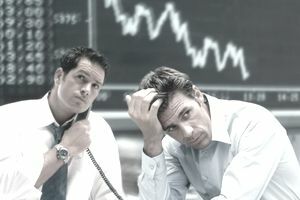 If the company's fundamentals, such as sales, debt, and cash flow begin to show signs of stress, it might mean something has changed that will negatively affect the stock's price. Don't wait for the market to panic over a decline in revenue or another key fundamental — be prepared to unload the stock while you still have a healthy profit. Many investors set a floor on the stock's price so that if it falls below a certain level, they sell. You can also set an upper limit that triggers your sale. Your rationale here might be that you fear the stock will have a difficult time supporting a market price above a certain level and any hint of bad news will send the price into a nosedive. Some investors simply say, "I want to make this return, and when I hit that, I'm going to move on to another opportunity." This mindset can allow investors to make non-emotional stock-trading decisions that could reward them with higher profits over time. When companies start cutting or eliminating dividends, it is time to seriously consider selling the stock. A company’s dividend cut is a serious event, and it signals financial issues that investors should pay close attention to. Watch out for hype: If a stock you own becomes the focus of media attention and receives a lot of buzz, it may be time to look at taking a profit. These types of stock-feeding frenzies attract inexperienced investors who bid up prices only to have the market collapse when the hype dies. If you're not careful, once the frenzy dies down, you can watch the price fall down quickly, right past your profit. Watch growth: Growth stocks grow. When they stop growing or growth begins to slow, it's time to move on. The market does not look kindly upon growth stocks that fail to maintain their growth. Take part off the table: If you have a good profit in a stock, consider selling, say 50 percent and taking your profit, while letting the remainder continue to grow. This way you can lock in a certain level of profit and, if you follow the other tips here, you can sell the stock when it starts to fall and still generate some more profit. Better deal: Other stocks may provide a better opportunity with less risk. Just because you have a good stock with a nice profit doesn't mean you shouldn't stop looking for a better deal. While you always want to maximize your investment, don't eat into your profits by running up a big bill at your stockbroker in commissions through excessive trading. A few smart trades will beat a dozen mediocre ones any day.